REBECCA LI, a Dharma heir in the lineage of the Chan Master Sheng Yen, started practicing meditation in 1995. She began her teacher's training with Master Sheng Yen in 1999 to become a Dharma and meditation instructor and began teaching in 2002. Later on, she trained with John Crook and then Simon Child to lead intensive retreats and received full Dharma transmission from Simon Child, Dharma heir of Chan Master Sheng Yen, in 2016. Currently, she teaches meditation and Dharma classes, gives public lectures and leads Chan retreats at Dharma Drum centers, university meditation groups and Dharma practice groups in the northeast. Her talks and writings can be found at www.rebeccali.org. 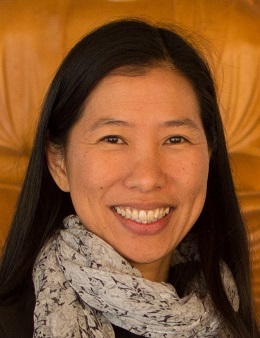 She is part of the Gen X Dharma Teachers community and served on the organizing committee of the 2015 conference. Rebecca is also a professor of sociology in the Department of Sociology and Anthropology at The College of New Jersey.